The true story behind one of the greatest masterpieces of all time. You cannot stand underneath the masterwork that is the Sistine Chapel without considering the genius and painstaking work that went into its creation. Michelangelo Buonarroti never wanted to paint the Sistine Chapel, though. Appointed by the temperamental Julius II, Michelangelo believed the suspiciously large-scale project to be a plot for failure conspired by his rivals and the вЂњWarrior Pope.вЂќ After all, Michelangelo was not a painterвЂ”he was a sculptor. The noble artist reluctantly took on the daunting task that would damage his neck, back, and eyes (if you have ever strained to admire the real thing, you know). Andrew Graham-Dixon tells the story behind the famous painted ceiling over which the great artist painfully toiled for four long years. Linking MichelangeloвЂ™s personal life to his work on the Sistine Chapel, Graham-Dixon describes MichelangeloвЂ™s unique depiction of the Book of Genesis, tackles ambiguities in the work, and details the painstaking work that went into MichelangeloвЂ™s magnificent creation. 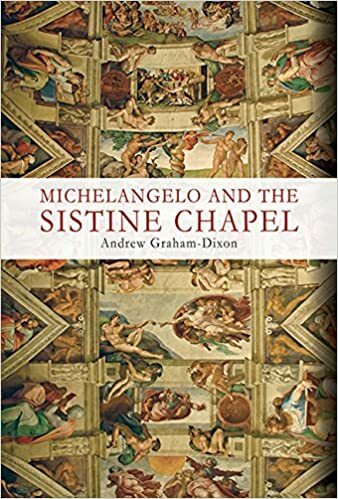 Complete with rich, full-color illustrations and Graham-DixonвЂ™s articulate narrative, Michelangelo and the Sistine Chapel is an indispensable and significant piece of art criticism. It humanizes this heavenly masterpiece in a way that every art enthusiast, student, and professional can understand and appreciate.